Frank was born and raised on this land. His parents opened up the first registered bed & breakfast in Doolin in the 1960s. He is a third generation farmer with almost 50 beef cattle on the farm today. Though farming has always been in his blood, Frank has a passion for cooking. 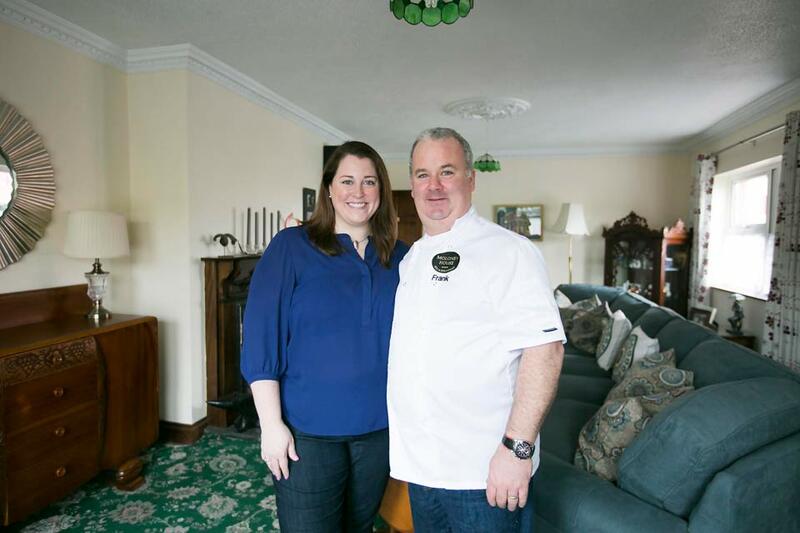 He trained in college in Galway before working in restaurants in Ireland and England. He returned home to Doolin in 1988 and a couple years later he built Moloney House. Mary Ellen was born and raised over 3,500 miles away in the great state of Illinois, U.S.A. After almost 20 trips to Ireland for both business and pleasure she found herself in Doolin at Gus O'Connor's pub enjoying a mighty Sunday traditional music session and an order of fish and chips (which she will argue is the best in Ireland!) when she met Frank. From that point on the rest is history - she left Washington, DC after 13 years working for Presidents George W. Bush and Barrack Obama to move across the Atlantic Ocean to her new home in Doolin. Frank and Mary Ellen welcome you to Moloney House and they want to ensure your trip to Doolin is a memorable one. As your hosts they are on hand to arrange bookings of restaurants, excursions, golfing, walking tours and more. Simply email them with a request you wish to book and they will do the rest! .